America emerged from the Duration (a term of daily usage during World War II) having left our enemies in ruins and, most importantly, put behind a great economic crisis that had nearly broken our confidence. For a brief moment, we stood alone economically, the bulk of the world's gold in our coffers, the old industrial world, our natural economic competitors, in shambles. Simultaneously, we found ourselves awash in cheap and plentiful domestic supplies of energy and other raw materials. Despite the threat of a nuclear and ideological adversary, prosperous and open to scientific and technological innovation, we became a magnet for talented and ambitious people from around the world; it was a historical moment to be savored; for many of us it provided food aplenty, cheap housing, accessible public higher education, new horizons, and ultimately the opportunity to be inventive and entrepreneurial. We could, it seemed, like the great empires that preceded us, pursue a permanent guns and butter economy. Beyond the butter, bread and circus, we embarked on a new wave of social programs that were targeted mainly at the legacy of slavery. Almost before we knew it, we had morphed into the economic, cultural and academic center of the world. In the new guns world of atomic weapons, satellites, guided missiles and throw-weight, this main item in our budget, had also gradually swung from boots and ammo to white coats, labs, surveillance and simulation. This propelled a need for information, which required higher educational facilities, communications, and given the nature of the particular problem of accurate warhead delivery and the greater race into the high ground of space, as much calculation power in as small a container as possible. It's no accident that it was the federal government through the military industrial complex that paid for the chip making facilities springing up north of San Jose and the Internet precursors linking campuses and DOD development sites across the country. Nor was it a coincidence that the first on-line databases were run by familiar names in the military industrial complex like Lockheed, and funded by the same sources or that the center of gravity of the second wave of the CPU and software industry jumped to the West Coast where most of the defense production plants and nuclear labs were already located. As Moore's Law took hold, a virtuous circle in technology and know-how was created in a supercharged environment already ripe for a consumer driven revolution. It goes something like this: at a truly dynamic juncture, only those at the very tip of using and developing the new technologies grok the nuts and bolts of creating the widgets that drive the next generation of products while Consumers, used to demanding innovation with their pocketbooks, gobble up these gadgets but only when they are priced below a certain point, are bulletproof, and easy-to-use,. The big players on the Yinny East Coast, IBM and DEC, had grown fat milking the corporate and government acquisition process with the attendant locked-in, bloated profit margins. As consumers came rushing in with their very different needs and expectations, these legacy dinosaurs fell by their own weight to the wayside. The center of gravity of the two most dynamic industries of the Yangy new consumer-industrial complex --entertainment and PC's-- shifted to the flat fruit grove lands of the West Coast. When they finally met in consumer heaven, as they have today, sparks would fly! It was a new kind of Capitalism of which, Marx and Lenin couldn't have had clue; a capitalism of bits and bytes in which PhD's sit cheek to jowl on buses to work and in which brain power, flexibility and quick thinking are at a premium. Whole new industries are created and old ways of doing business are eroded like beach sand in a Level 4 hurricane. The race was on and, to some, it looked like the US economy was holding all the cards. America had the grad schools, the know-how, the infrastructure, the venture investors, the lead in software development and most importantly, the leading and bleeding edge consumers who drive the market with their purchasing power and willingness for change. By the late 1990's thousands and thousands of trained minds from around the globe were being recruited into the combat, many from countries in Asia and the subcontinent with good primary education systems and little opportunity. But getting costs down is an essential part of the battle, even if it means outsourcing processes that would expose secrets earned through hard won advances. Southeast Asia and Japan, in particular, already held the lead in building small and efficient electronic devices. Outsourcing hardware production to them to take advantage of that know-how thus became a necessity to stay price competitive even it required massive technology transfers with an ensuing, Titanic-size leak of trade secrets. The very technology advances that were being made were beginning to sow their own seeds of disruption: CPU power increased while CPU prices continued to fall, just as Moore's Law had predicted. With cheaper ever more capacious hard drives, the kinds of servers that can support heavy network traffic also became a commodity. With a broadband Intranet, distance could now be divided by the speed of light. The door had been opened much wider than anyone had predicted to something we've come to call outsourcing. Entrepreneurial Asians who'd worked in Silicon Valley during the boom -- at one point, at least on paper, a millionaires club made up of only people of Indian origin could have had some 10,000 eligible candidates-- returned home and started businesses providing services to their former US-based bosses at highly competitive pricing structures. In a worldwide, plugged-in, consumer culture, the lag times also shrunk and in some cases looped back in reverse as Europeans took up IM'ing and the Japanese brought robots home for pets. There are still many who want to believe --and worse, bet their hard-earned investment dollars on index funds-- that the momentary advantage of the last 50 years has provided us an insurmountable lead for the US and that constant growth is a given. Some ignorant, but, unfortunately in the context of where we go from here, politically important voices will even argue that it is God given (and thus only God takethed away, we suppose) as part of a design, others, rather naively, that we have a patent on innovation in our American DNA just as Italian painters, say, in the Renaissance might have looked down their noses at contemporary Flemish upstarts. America, the Brand Image: In a world market, American prosperity and success depends more and more on the way the rest of the world thinks about us. When we are inept at every turn, the world sees that, when we seem too frozen to deal with our own problems, the world is looking in, and when we allow our freedoms to be usurped or, much worse, commit atrocities in the name of our own security, we send a message all too clear in a world where mass communication is no longer our monopoly. There is always a lag between reality and what gets digested at the top rung. Politicians, acting more and more like contemporary corporate CEO's see their jobs primarily as getting short-term results, George Bush II, although he has liked to portray himself as a leader and hardnosed visionary --in the Harry Truman mold, we're told-- is, unfortunately, no exception in that regard. So, beyond all the rhetorical turns, our main takeaway from the State of the Union speech is that in the face of an imploding reality it's getting harder and harder for his inner circle to find even short-term fixes. His wasn't the yin and yang of colliding galaxies but more the constant pull of a dying star. Our politicians and the pundits that echo them like to point out that America's economy is the engine for the rest of the world and that we have sustained an average growth rate that has beaten that of our two main traditional rivals, Europe and Japan. They put on blinders when it comes to factoring into that equation the enormous amount of borrowing we've done both from future taxpayers in the form of budget deficits and from the rest of the world in the form of trade deficits in order to sustain what once would have been considered an anemic annual growth rate of about 3%. Not only has the government been on the greatest borrowing binge in the nation's history but so have its citizens. American families now carry four times the amount of personal debt they did just a decade ago. Internally, American's have been able to borrow against their homes while the government has relied on the good graces of the countries that now manufacture most of the goods most associated with our way of life. Nor can we underestimate the stimulus of a $100 billion a year War, also to be paid for by coming generations. Energy is such a vital factor in the economic and political equation that even small imbalances could cause mass disruptions. Anyone who watched California brought to a standstill by rolling blackouts or lived through a post icestorm or tornado, knows the tremendous impact miscalculations based on a steady supply of power can bring on. There is also a concept of legacy systems. IBM, at its dominating height, was a legacy company, Microsoft is already a legacy company. Legacy companies own lots of turf so that more and more of their energies are used to keep their rivals off of it. Whenever they innovate they face the possibility of creating competition for their own products. And since they don't like to compete with themselves, even when they manage to attract the best and the brightest they tend to sit on inventions and patents defensively rather than exploit them. Xerox was renowned for having the best R&D group in America and yet the company never successfully brought any of the many key innovations of the PC Revolution --like networked PC's or the MAC-like interface-- developed at Xerox PARC to market. Meanwhile, the company even lost its dominance in copiers. One sure sign of a legacy companies is a CEO taking the stage and urging his employees to load up on the very stock he is sloughing off. Legacy CEO's stack their boards of directors and staffs with sycophants who have learned to advance by keeping their mouths shut and going along with the program. When Americans started buying alternative Japanese and European made cars primarily for their fuel efficiency they got a shock lesson in quality expectations that has stuck. The foreign competitors, of course, didn't stop with small unprofitable cars but instead gradually moved up the food chain. When currency manipulation against their currencies started to cost them market share, they moved their assembly plants to America where parts could be screwed and welded together and American jobs would be created for political leverage. Just four years ago, it could already be said that GM no longer made any money on their cars but their lending arm's activities, could still tip their balance sheet to black ink. But despite the seeming business illogic, GM started offering interest-free loans to sell its vehicles. That way they could continue claiming market dominance even if it cost them money for every car they moved out of the showroom! For legacy companies this is an all too typical antic; they will often act with brute force against all logic to protect market share. The US stopped being a major oil producing country many years ago when we became a net importer. But despite the fact we had the technology to invent substitutes we did not slow down our growth in consumption for fear of cannibalizing our legacy businesses, not even when it became apparent that petroleum could be used as a political tool against us way back in the 1970's. Now the price of petroleum has risen and appears to have permanently settled at at least triple what it was a few years ago. We can, we suppose, keep hoping for warm winters. In the last few years, the US has stopped being an exporter of manufactured goods and is now heavily a net importer. To keep the consumer society ticking along, we have shifted the bulk of our manufacturing capacity to East Asia as rapidly as we shifted our retail operations to Wal*Mart and the other big box competitors. Legacy companies buy market share through bad fitting mergers: remember Time Warner and AOL. There are some who believe that the War in Iraq could be equated to a kind of hostile takeover and that the Shiite majority was Saddam's poison pill.. To follow this metaphor, it seems we ended up being outbid by another major oil producer, beginning to flex its muscles, Iran. In this regard, the State of the Union Address was full of legacy corporate cheerleading. It clung very heavily to last year's ad campaign all about the power of freedom and democracy to be transformational. As made apparent by the annual ritual on the Super Bowl screen, ad campaigns come and go; and the audience, given a little eye candy, does look up between their snacks. When Jerzy Kosinski, published Being There in 1970, he made as important a statement on the negative potential of a mass-media driven consumer society and politicians who lead only by slogans, as George Orwell had made on tyranny a couple of generations earlier in his terrifying, 1984. 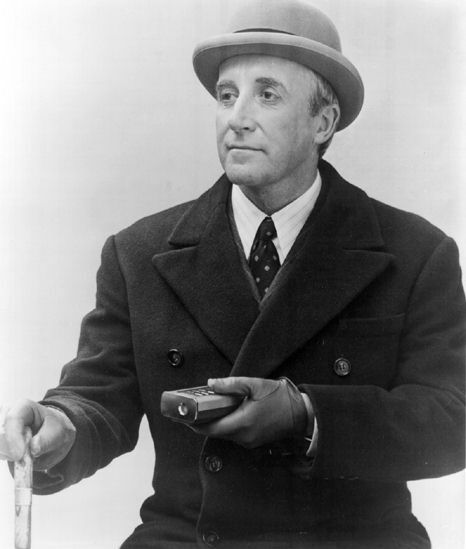 At the time, we couldn't help asking ourselves, could Chance (Chauncey) the Gardiner, the main character in Kosinski's novel, played so expertly by Peter Sellers in the eponymous movie--successfully govern as reality crept into the picture? Here in Dymaxia, we also like to watch! This week we saw a President's legacy or a legacy President, you take your choice!